The independent publisher of mostly children’s books, Dar Onboz, has just concluded its second appearance at Beirut’s 25th Francophone Salon du Livre. Their attendance isn’t a given, because Dar Onboz (The House of Hemp Seeds) publishes books in Arabic, and the fair’s books are mostly in French. But this is Lebanon, where books in Arabic, French, and English are the norm. Visitors stopped by the Dar Onboz stand to admire the books’ original designs, while children participated in workshops. When Touma and Sivine Ariss founded the press in 2006 with graphic designer Raya Khalaf, they wanted to make beautiful books for children that celebrated the Arabic language, as Publishing Perspectives reported more than eight years ago. The company’s titles sometimes include books for adults, such as this year’s Al Makan (The Place), the memoirs of the late author Emily Nasrallah, known for her profound attachment to her village in southern Lebanon. The project was a perfect fit with Dar Onboz’s way of doing things. The book, an object in itself, became its own ecosystem, working first as a memoir with its roots in the history of a small village in Lebanon—details about everyday customs, social interactions, and economic immigration. 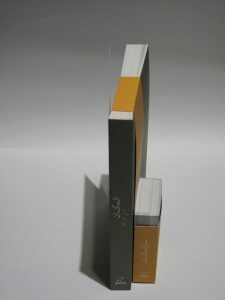 Nasrallah’s memoirs were printed with the trademark Dar Onboz attention to design and include photographs, infographics, maps, and a small lexicon. Because the vocabulary in the memoirs often refers to a bygone way of life, each word that might not be known by a younger generation is highlighted in red and referenced in the lexicon, citing food, a way of dress, a plant or flower, or a detail of architecture. Dar Onboz completed the production with a short video of Emily Nasrallah being shown the book several days before her death. 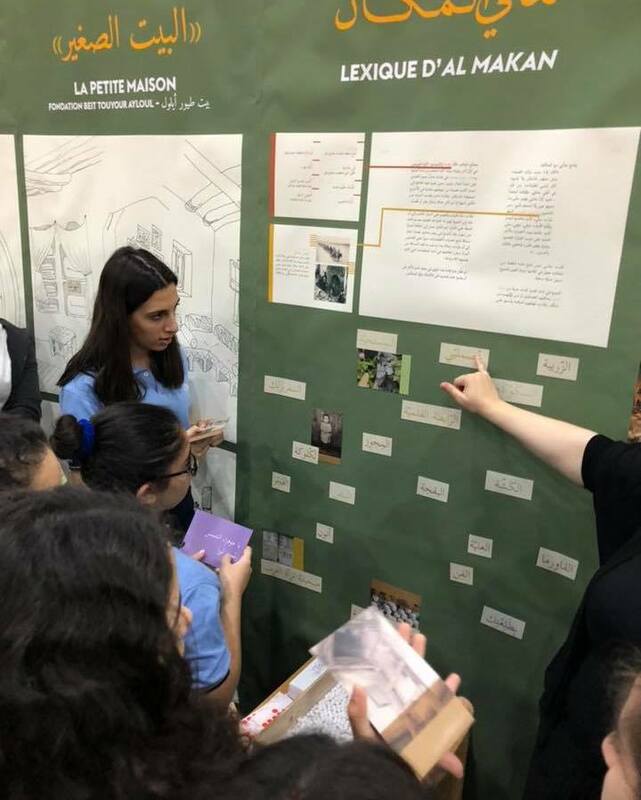 During the Beirut book fair, Dar Onboz’s stand had an immense poster of the cover of Al Makan with a timeline and cast of characters as well as a map showing patterns of emigration from Lebanon to other countries. Although a publisher, Dar Onboz is really a platform for storytelling, using many forms of contemporary art to retell folklore and fables, but also public service issues. The lexicon accompanying Al Makan is reminiscent of Hamdara (Feast), a film made when Dar Onboz launched, intended to sensitize children to nature, seasons, and the food their grandmothers made. 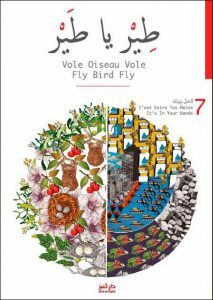 In 2016, Dar Onboz published a series of large-format books called Fly, Bird, Fly, in Arabic, French, and English. The books evolved out of a project of the same name designed to focus attention on the protection of local and migratory birds. In the books, children can color images, cut out their own birds, make shadow puppet shows, or stencils. 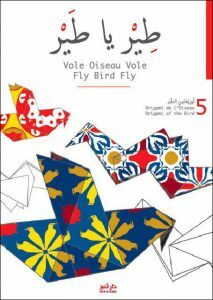 Touma is referring to the UAE-based Etisalat award and the Sheikh Zayed award for Arabic children’s books. These awards, however, require that books be published in the formal and mainly written Modern Standard Arabic (MSA), and Dar Onboz frequently publishes in colloquial Arabic, which is regional and used in daily interactions. 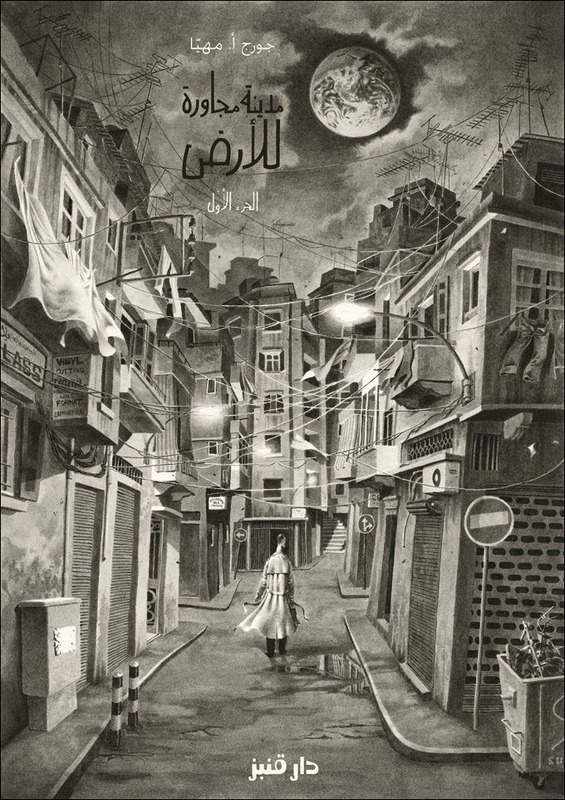 “Publishing in colloquial Arabic is complementary for us, and enriching. We feel it lessens the dichotomy that kids feel,” Touma says. There’s also an additional problem of how Arabic is taught in schools, according to Touma. For most publishers in the Arab world, distribution is another challenge. Touma says that participation in book fairs is the most efficient way to sell her company’s books outside of Lebanon, “It’s the only way we can have our books showcased in the Arab world,” she says. 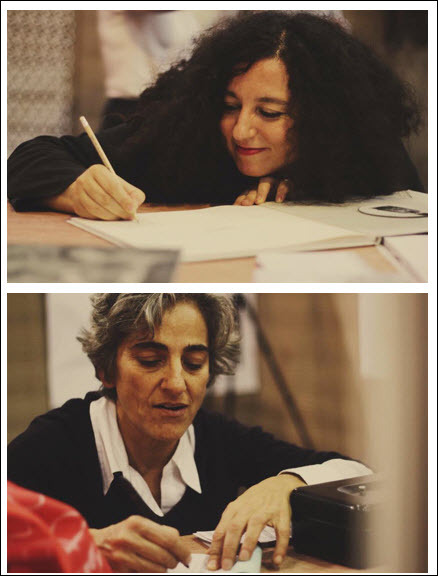 Dar Onboz will be at the 2019 Bologna Children’s Book Fair (April 1 to 4), where in the past the company has had honorary mentions and an Opera Prima award (2012). For now, Nadine Touma and Sivine Ariss say they toil on a “microlevel” where, “We see the impact daily, with email and phone calls from parents and readers. We’re driven by a love of what we do. More from Publishing Perspectives on Arabic literature and markets is here.